Section 1 of Article Two establishes the positions of the president and the vice president, and sets the term of both offices at four years. Section 1's Vesting Clause declares that the executive power of the federal government is vested in the president and, along with the Vesting Clauses of Article One and Article Three, establishes the separation of powers between the three branches of government. Section 1 also establishes the Electoral College, the body charged with electing the president and the vice president. Section 1 provides that each state chooses members of the Electoral College in a manner directed by each state's respective legislature, with the states granted electors equal to their combined representation in both houses of Congress. Section 1 lays out the procedures of the Electoral College and requires the House of Representatives to hold a contingent election to select the president if no individual wins a majority of the electoral vote. Section 1 also sets forth the eligibility requirements for the office of the president, provides procedures in case of a presidential vacancy, and requires the president to take an oath of office. Section 2 of Article Two lays out the powers of the presidency, establishing that the president serves as the commander-in-chief of the military and has the power to grant pardons and require the "principal officer" of any executive department to tender advice. Though not required by Article Two, President George Washington organized the principal officers of the executive departments into the Cabinet, a practice that subsequent presidents have followed. The Treaty Clause grants the president the power to enter into treaties with the approval of two-thirds of the Senate. The Appointments Clause grants the president the power to appoint judges and public officials subject to the advice and consent of the Senate, which in practice has meant that presidential appointees must be confirmed by a majority vote in the Senate. The Appointments Clause also establishes that Congress can, by law, allow the president, the courts, or the heads of departments to appoint "inferior officers" without requiring the advice and consent of the Senate. The final clause of Section 2 grants the president the power to make recess appointments to fill vacancies that occur when the Senate is in recess. Section 3 of Article Two lays out the responsibilities of the president, granting the president the power to convene both houses of Congress, receive foreign representatives, and commission all federal officers. Section 3 requires the president to inform Congress of the "state of the union"; since 1913 this has taken the form of a speech referred to as the State of the Union. The Recommendation Clause requires the president to recommend measures he deems "necessary and expedient." The Take Care Clause requires the president to obey and enforce all laws, though the president retains some discretion in interpreting the laws and determining how to enforce them. Section 4 of Article Two establishes that the president and other officers can be removed from office through the impeachment process, which is further described in Article One. Section 1 begins with a vesting clause that confers federal executive power upon the President. Similar clauses are found in Article I and Article III. The former bestows federal legislative power exclusively to Congress, and the latter grants judicial power solely to the Supreme Court. These three articles create a separation of powers among the three branches of the federal government. In addition to separation of powers and equally important to limited government, each independent and sovereign branch also provides checks and balances on the operation and power of the other two branches. The President's executive power is subject to two important limitations. First, the President lacks executive authority explicitly granted to Congress. Hence the President cannot declare war, grant letters of marque and reprisal, or regulate commerce, even though executives had often wielded such authority in the past. In these instances, Congress retained portions of the executive power that the Continental Congress had wielded under the Articles of Confederation. In fact, because those actions require legislation passed by Congress which must be signed by the President to take effect, those powers are not strictly executive powers granted to or retained by Congress per se. Nor were they retained by the U.S. Congress as leftovers from the Articles of Confederation. The Articles of Confederation, Continental Congress and its powers were abolished at the time the new U.S. Congress was seated and the new federal government formally and officially replaced its interim predecessor. And although the President is implicitly denied the power to unilaterally declare war, a declaration of war is not in and of itself a vehicle of executive power since it is literally just a public declaration that the U.S. government considers itself "at war" with a foreign political entity. Second, specific constitutional provisions may check customary executive authority. Notwithstanding their executive power, the President cannot make treaties or appointments without the advice and consent of the Senate. Likewise, the President's pardon power is limited to offenses against the United States (federal crimes) and does not extend to impeachments or violations of state law. As treaties are by U.S. law official agreements with foreign governments recognized as such only after Senate ratification, the President obviously cannot make treaties unilaterally. However, the President does determine and decide U.S. foreign policy and can enter into non-binding discussions and give conditional approval to agreements reached with foreign governments subject to Senate ratification at a future date. Additionally, since official treaties are specifically created under and by constitutional U.S. law and are entered into by both government and the people as a whole, in their capacity as head of state and as the single individual representative of the United States and its citizens, the President does have Coauthority and Constitutional duty to unilaterally withdraw the United States from treaties if he or she determines the best interests and well being of the U.S. and its citizens are benefited by doing so. As far as presidential appointments, as with treaties a person is not officially and legally appointed to a position until their appointment is approved by the Senate. Prior to Senate approval and publication of that approval along with an official date and time for their swearing-in and assumption of duties and responsibilities, they are nominees rather than appointees. And again, the President nominates people for specific positions at their pleasure and can do so without or in spite of Senate advice. Senate consent occurs when a majority of senators votes to approve and therefore appoint a nominee. Under the U.S. Constitution the President and Vice President are chosen by Electors, under a constitutional grant of authority delegated to the legislatures of the several states. The Constitution reserves the choice of the precise manner for creating Electors to the will of the state legislatures. It does not define or delimit what process a state legislature may use to create its state college of Electors. In practice, the state legislatures have generally chosen to create Electors through an indirect popular vote, since the 1820s. Most states have a "winner-take-all" system in which the candidate with the most votes in the state gets all the electoral votes. Maine and Nebraska allow individual congressional districts to elect one elector. Each state chooses as many Electors as it has Representatives and Senators representing it in Congress. Under the 23rd Amendment, the District of Columbia may choose no more electors than the state with the lowest number of electoral votes (in effect, three electors), although since that amendment's ratification the District's population has never reached the threshold that would otherwise entitle it to choose four or more electors. While Senators, Representatives and federal officers are barred from becoming Electors, in practice the two major federal parties frequently select senior officials at the state level (up to and including Governors) to serve as Electors. The Electors shall meet in their respective States, and vote by Ballot for two Persons, of whom one at least shall not be an Inhabitant of the same State with themselves. And they shall make a List of all the Persons voted for, and of the Number of Votes for each; which List they shall sign and certify, and transmit sealed to the Seat of the Government of the United States, directed to the President of the Senate. The President of the Senate shall, in the Presence of the Senate and House of Representatives, open all the Certificates, and the Votes shall then be counted. The Person having the greatest Number of Votes shall be the President, if such Number be a Majority of the whole Number of Electors appointed; and if there be more than one who have such Majority, and have an equal Number of Votes, then the House of Representatives shall immediately chuse [ sic] by Ballot one of them for President; and if no Person have a Majority, then from the five highest on the List the said House shall in like Manner chuse [ sic] the President. But in chusing [ sic] the President, the Votes shall be taken by States, the Representation from each State having one Vote; A quorum for this Purpose shall consist of a Member or Members from two thirds of the States, and a Majority of all the States shall be necessary to a Choice. In every Case, after the Choice of the President, the Person having the greatest Number of Votes of the Electors shall be the Vice President. But if there should remain two or more who have equal Votes, the Senate shall chuse [ sic] from them by Ballot the Vice President. In modern practice, each state chooses its electors in popular elections. Once chosen, the electors meet in their respective states to cast ballots for the President and Vice President. Originally, each elector cast two votes for President; at least one of the individuals voted for had to be from a state different from the elector's. The individual with the majority of votes became President, and the runner-up became Vice President. In case of a tie between candidates who received votes from a majority of electors, the House of Representatives would choose one of the tied candidates; if no person received a majority, then the House could again choose one of the five with the greatest number of votes. When the House voted, each state delegation cast one vote, and the vote of a majority of states was necessary to choose a President. If second-place candidates were tied, then the Senate broke the tie. A quorum in the House consisted of at least one member from two-thirds of the state delegations; there was no special quorum for the Senate. This procedure was followed in 1801 after the electoral vote produced a tie, and nearly resulted in a deadlock in the House. While the Constitution reflects the Framers' clear preference for the President to be elected by a constituency independent of the Congress, one of the most palpable limitations created by the stipulation that Electors meet in their respective states as opposed to a single venue was that given the constraints of eighteenth-century technology there was no practical means for that constituency to resolve deadlocked elections in a timely manner, thus necessitating the involvement of Congress in resolving deadlocked elections. Obviously, having the Electors meet in the national capital or some other single venue could have permitted the Electors to choose a President by means of an exhaustive ballot without Congressional involvement, but the Framers were dissuaded from such an arrangement by two major considerations. First, it would have been quite burdensome for Electors from distant states to travel to the national capital using eighteenth century means for the sole purpose of electing the President – since they were to be barred from simultaneously serving in the federal government in any other capacity, Electors would likely have no other reason to go there. But probably even more importantly, many Framers genuinely feared that if the Electors met in a single venue, especially under the initial assumption that they would act independently as opposed to being bound to vote for particular candidates, they would be vulnerable to the influence of mobs who might try to ensure a particular result by means of threats and intimidation – this had been a fairly common occurrence in European elections for powerful officials by relatively small constituencies (for example, and perhaps in particular, in papal elections) from the Middle Ages up to the Constitution's creation. The 12th Amendment introduced a number of important changes to the procedure. Now, Electors do not cast two votes for President; rather, they cast one vote for President and another for Vice President. In case no Presidential candidate receives a majority, the House chooses from the top three (not five, as before the 12th Amendment). The Amendment also requires the Senate to choose the Vice President from those with the two highest figures if no Vice Presidential candidate receives a majority of electoral votes (rather than only if there's a tie for second for President). It also stipulates that to be the Vice President, a person must be qualified to be the President. The Congress may determine the Time of chusing [ sic] the Electors, and the Day on which they shall give their Votes; which Day shall be the same throughout the United States. Congress sets a national Election Day. Currently, Electors are chosen on the Tuesday following the first Monday in November (the first Tuesday after November 1), in the year before the President's term is to expire. The Electors cast their votes on the Monday following the second Wednesday in December (the first Monday after December 12) of that year. Thereafter, the votes are opened and counted by the Vice President, as President of the Senate, in a joint session of Congress. an inhabitant of the United States for at least fourteen years. 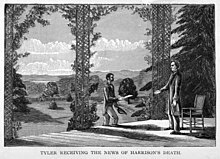 1888 illustration of new President John Tyler receiving the news of President William H. Harrison's death from Chief Clerk of the State Department Fletcher Webster. The wording of this clause caused much controversy at the time it was first used. When William Henry Harrison died in office, a debate arose over whether the Vice President would become President, or if he would just inherit the powers, thus becoming an Acting President. Harrison's Vice President, John Tyler, believed that he had the right to become President. However, many Senators argued that he only had the right to assume the powers of the presidency long enough to call for a new election. Because the wording of the clause is so vague, it was impossible for either side to prove its point. Tyler took the Oath of Office as President, setting a precedent that made it possible for later Vice Presidents to ascend to the presidency unchallenged following the President's death. The "Tyler Precedent" established that if the President dies, resigns or is removed from office, the Vice President becomes President. The Congress may provide for a line of succession beyond the Vice President. The current Presidential Succession Act establishes the order as the Speaker of the House of Representatives, the President pro tempore of the Senate and then the fifteen Cabinet Secretaries in order of that Department's establishment. There are concerns regarding the constitutionality of having members of Congress in the line of succession, however, as this clause specifies that only an " officer of the United States" may be designated as a presidential successor. Constitutional scholars from James Madison to the present day have argued that the term "officer" excludes members of Congress. The 25th Amendment explicitly states that if the President dies, resigns or is removed from office, the Vice President becomes President, and also establishes a procedure for filling a vacancy in the office of the Vice President. The Amendment further provides that the President, or the Vice President and Cabinet, can declare the President unable to discharge his duties, in which case the Vice President becomes Acting President. If the declaration is done by the Vice President and Cabinet, the Amendment permits the President to take control back, unless the Vice President and Cabinet challenge the President and two-thirds of both Houses vote to sustain the findings of the Vice President and Cabinet. If the declaration is done by the President, he may take control back without risk of being overridden by the Congress. "Domestic Emoluments Clause" redirects here. For other uses, see Emoluments Clause. The President's salary, currently $400,000 a year,[ citation needed] must remain constant throughout the President's term. The President may not receive other compensation from either the federal or any state government. President Barack Obama being administered the oath of office by Chief Justice John Roberts for the second time at his first inauguration, on January 21, 2009. Before he enters the Execution of his Office, he shall take the following Oath or Affirmation:—"I do solemnly swear (or affirm) that I will faithfully execute the Office of President of the United States, and will to the best of my Ability, preserve, protect and defend the Constitution of the United States." According to the Joint Congressional Committee on Presidential Inaugurations, George Washington added the words "So help me God" during his first inaugural,  though this has been disputed. There are no contemporaneous sources for this fact, and no eyewitness sources to Washington's first inaugural mention the phrase at all—including those that transcribed what he said for his oath. Also, the President-elect's name is typically added after the "I", for example, "I, George Washington, do...." Normally, the Chief Justice of the United States administers the oath. It is sometimes asserted that the oath bestows upon the President the power to do whatever is necessary to "preserve, protect and defend the Constitution." Andrew Jackson, while vetoing an Act for the renewal of the charter of the national bank, implied that the President could refuse to execute statutes that he felt were unconstitutional. In suspending the privilege of the writ of habeas corpus, President Abraham Lincoln claimed that he acted according to the oath. His action was challenged in court and overturned by the U.S. Circuit Court in Maryland (led by Chief Justice Roger B. Taney) in Ex Parte Merryman, 17 F. Cas. 144 (C.C.D. Md. 1861). Lincoln ignored Taney's order. Finally, Andrew Johnson's counsel referred to the theory during his impeachment trial. Otherwise, few have seriously asserted that the oath augments the President's powers. The Vice President also has an oath of office, but it is not mandated by the Constitution and is prescribed by statute. Currently, the Vice Presidential oath is the same as that for Members of Congress. In the landmark decision Nixon v. General Services Administration, Justice William Rehnquist, afterwards the Chief Justice, declared in his dissent the need to "fully describe the preeminent position that the President of the United States occupies with respect to our Republic. Suffice it to say that the President is made the sole repository of the executive powers of the United States, and the powers entrusted to him as well as the duties imposed upon him are indeed a powerful and incredible responsibility but as well as a great honor." President Franklin D. Roosevelt as Commander in Chief, with his military subordinates during World War II. Left to right: General Douglas MacArthur, President Franklin Roosevelt, Admiral William D. Leahy, Admiral Chester W. Nimitz. The Constitution vests the President with Executive Power. That power reaches its zenith when wielded to protect national security. And federal courts in the United States must pay proper deference to the Executive in assessing the threats that face the nation. The President is the military's commander-in-chief; however Article One gives Congress and not the President the exclusive right to declare war. Nevertheless, the power of the president to initiate hostilities has been subject to question. According to historian Thomas Woods, "Ever since the Korean War, Article II, Section 2 [...] has been interpreted 'The president has the power to initiate hostilities without consulting Congress' [....] But what the framers actually meant by that clause was that once war has been declared, it was the President’s responsibility as commander-in-chief to direct the war. Alexander Hamilton spoke in such terms when he said that the president, although lacking the power to declare war, would have "the direction of war when authorized or begun." The president acting alone was authorized only to repel sudden attacks (hence the decision to withhold from him only the power to "declare" war, not to "make" war, which was thought to be a necessary emergency power in case of foreign attack). Since World War II, every major military action has been technically a U.S. military operation or a U.N. " police action", which are deemed legally legitimate by Congress, and various United Nations Resolutions because of decisions such as the Gulf of Tonkin Resolution or the Resolution of The Congress Providing Authorization for Use of Force In Iraq. The President, furthermore, may grant pardon or reprieves, except in cases of impeachment. As ruled by the Supreme Court in United States v. Wilson (1833), the pardon could be rejected by the convict. Then, in Burdick v. United States (1915), the court specifically said, "Circumstances may be made to bring innocence under the penalties of the law. If so brought, escape by confession of guilt implied in the acceptance of a pardon may be rejected, preferring to be the victim of the law rather than its acknowledged transgressor, preferring death even to such certain infamy." The President exercises the powers in the Advice and Consent Clause with the advice and consent of the Senate. The President may enter the United States into treaties, but they are not effective until ratified by a two-thirds vote in the Senate. In Article II however, the Constitution is not very explicit about the termination of treaties. The first abrogation of a treaty occurred in 1798, when Congress passed a law terminating a 1778 Treaty of Alliance with France. In the nineteenth century, several Presidents terminated treaties after Congress passed resolutions requesting the same. In 1854, however, President Franklin Pierce terminated a treaty with Denmark with the consent of the Senate alone. A Senate committee ruled that it was correct procedure for the President to terminate treaties after being authorized by the Senate alone, and not the entire Congress. President Pierce's successors, however, returned to the former procedure of obtaining authorization from both Houses. Some Presidents have claimed to themselves the exclusive power of terminating treaties. The first unambiguous case of a President terminating a treaty without authorization, granted prior to or after the termination, occurred when Jimmy Carter terminated a treaty with the Republic of China. For the first time, judicial determination was sought, but the effort proved futile: the Supreme Court could not find a majority agreeing on any particular principle, and therefore instructed the trial court to dismiss the case. The President may also appoint judges, ambassadors, consuls, ministers and other officers with the advice and consent of the Senate. By law, however, Congress may allow the President, heads of executive departments, or the courts to appoint inferior officials. The Senate has a long-standing practice of permitting motions to reconsider previous decisions. In 1931, the Senate granted advice and consent to the President on the appointment of a member of the Federal Power Commission. The officer in question was sworn in, but the Senate, under the guise of a motion to reconsider, rescinded the advice and consent. In the writ of quo warranto proceedings that followed, the Supreme Court ruled that the Senate was not permitted to rescind advice and consent after the officer had been installed. After the Senate grants advice and consent, however, the President is under no compulsion to commission the officer. It has not been settled whether the President has the prerogative to withhold a commission after having signed it. This issue played a large part in the famous court case Marbury v. Madison. Congress may repeal the legislation that authorizes the appointment of an executive officer. But it "cannot reserve for itself the power of an officer charged with the execution of the laws except by impeachment." Congress has from time to time changed the number of justices in the Supreme Court. President George W. Bush announcing the August 1, 2005 recess appointment of John R. Bolton as the U.S. Ambassador to the United Nations as U.S. Secretary of State Condoleezza Rice looks on. During recesses of the Senate, the President may appoint officers, but their commissions expire at the conclusion of the Senate's next session. The President, while having to enforce the law, also possesses wide discretion in deciding how and even when to enforce laws. [ citation needed] He also has a range of interpretive discretion in deciding the meaning of laws he must execute. When an appropriation provides discretion, the President can gauge when and how appropriated moneys can be spent most efficiently. It has been asserted that the President's responsibility in the "faithful" execution of the laws entitles him to suspend the privilege of the writ of habeas corpus. Article One provides that the privilege may not be suspended save during times of rebellion or invasion, but it does not specify who may suspend the privilege. The Supreme Court ruled that Congress may suspend the privilege if it deems it necessary. 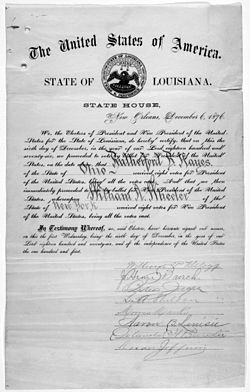 During the American Civil War, President Abraham Lincoln suspended the privilege, but, owing to the vehement opposition he faced, obtained congressional authorization for the same. Since then, the privilege of the writ has only been suspended upon the express authorization of Congress, except in the case of Mary Surrat, whose writ was suspended by the President regarding her alleged involvement in the assassination of President Lincoln. In Mississippi v. Johnson, 71 U.S. 475 (1867), the Supreme Court ruled that the judiciary may not restrain the President in the execution of laws. In that case the Supreme Court refused to entertain a request for an injunction preventing President Andrew Johnson from executing the Reconstruction Acts, which were claimed to be unconstitutional. The Court found that "[t]he Congress is the legislative department of the government; the President is the executive department. Neither can be restrained in its action by the judicial department; though the acts of both, when performed, are, in proper cases, subject to its cognizance." Thus, the courts cannot bar the passage of a law by Congress, though it may later strike down such a law as unconstitutional. A similar construction applies to the executive branch. The presidential authority to commission officers had a large impact on the 1803 case Marbury v. Madison, where outgoing Federalist President John Adams feverishly signed many commissions to the judiciary on his final day in office, hoping to, as incoming Democratic-Republican President Thomas Jefferson put it, "[retire] into the judiciary as a stronghold." However, in his haste, Adams' Secretary of State neglected to have all the commissions delivered. Incoming President Jefferson was enraged with Adams, and ordered his Secretary of State, James Madison, to refrain from delivering the remaining commissions. William Marbury took the matter to the Supreme Court, where the famous Marbury was decided. Depiction of the impeachment trial of President Andrew Johnson, in 1868, Chief Justice Salmon P. Chase presiding. The Constitution also allows for involuntary removal from office. The President, Vice-President, Cabinet Secretaries, and other executive officers, as well as judges, may be impeached by the House of Representatives and tried in the Senate. ^ "The U.S. Constitution With Declaration of Independence, US Government Printing Office" (PDF). gpo.gov. Retrieved May 17, 2017. ^ "War Powers Resolution". Avalon Project. ^ Prakash, Sai Prakash. "Essays on Article II: Executive Vesting Clause". The Heritage Foundation. ^ "The 2nd Article of the U.S. Constitution". National Constitution Center – The 2nd Article of the U.S. Constitution. Retrieved March 20, 2019. ^ a b c "The Electoral College". ncsl.org. Retrieved May 17, 2017. ^ Peabody, Bruce G.; Gant, Scott E. (February 1999). "The Twice and Future President: Constitutional Interstices and the Twenty-Second Amendment". Minnesota Law Review. Minneapolis: University of Minnesota Law School. 83 (3): 565–635. Archived from the original on January 15, 2013. Retrieved June 12, 2015. ^ Albert, Richard (Winter 2005). "The Evolving Vice Presidency". Temple Law Review. Philadelphia: Temple University of the Commonwealth System of Higher Education. 78 (4): 812–893. ^ "Joint Congressional Committee on Presidential Inaugurations". U.S. Senate. Retrieved November 10, 2006. ^ Cf: Youngstown Sheet & Tube Co. v. Sawyer, 343 U.S. 579, 637 (1952) (Jackson, J., concurring) ("When the President acts pursuant to an express or implied authorization from Congress," his actions are "supported by the strongest of presumptions and the widest latitude of judicial interpretation, and the burden of persuasion ... rest[s] heavily upon any who might attack it."). ^ Boumediene v. Bush, 553 U.S. 723, 797 (2008) ("[M]ost federal judges [do not] begin the day with briefings that describe new and serious threats to our Nation and its people."). ^ Woods, Thomas (2013). "Presidential War Powers: The Constitutional Answer". Liberty Classrooom. Retrieved September 6, 2013. ^ Gaziano, Todd. "Essays on Article II: Opinion Clause". The Heritage Foundation. ^ United States Senate. "Treaties". senate.gov. ^ United States Library of Congress (February 15, 2011). "Primary Documents in American History Treaty of Alliance with France". loc.gov. ^ John H. Haswell; United States Department of State (1889). Treaties and Conventions Concluded Between the United States of America Since July 4, 1776. Government Printing Office. p. 1,232. ^ Myers v. United States, 272 U.S. 52 (1926). ^ Humphrey's Executor v. United States, 295 U.S. 602, 628 (1935). This article incorporates public domain material from this U.S government document. ^ a b c d e f Vasan Kesavan and J. Gregory Sidak (2002). "The Legislator-In-Chief". William and Mary Law Review. 44 (1). Retrieved June 28, 2012. ^ a b Sidak, Gregory (August 1989). "The Recommendation Clause". Georgetown Law Journal. 77 (6): 2079–2135. SSRN 296114. ^ a b c Kesavan, Vasan. "The Heritage Guide to the Constitution: Recommendations Clause". The Heritage Foundation. Retrieved October 27, 2012. 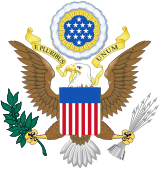 ^ United States v. Curtiss-Wright Export Corp., 299 U.S. 304 (1936), characterized the President as the "sole organ of the nation in its external relations," an interpretation criticized by Louis Fisher of the Library of Congress. ^ Zivotofsky v. Kerry, 576 U.S. ___ (2015). ^ "Article II, Section 3, U.S. Constitution". law.cornell.edu. Legal Information Institute. 2012. Retrieved August 7, 2012. ^ a b "Take Care Clause Law & Legal Definition". USLegal.com. Retrieved July 5, 2012. ^ a b c d e f Take Care Clause. "Take Care Clause". The Heritage Guide to the Constitution. The Heritage Foundation. Retrieved October 12, 2012. ^ Prepared by Devotion Garner. Updated by Cheryl Nyberg. "Popular Names of Constitutional Provisions". Gallagher Library of the University of Washington School of Law. Retrieved November 23, 2013. ^ "Chapter 12 – The Presidency Flashcards". Flashcard Machine. January 16, 2012. Retrieved July 5, 2012. ^ Walter E. Dellinger III (September 7, 1995). "Constitutional Limitations On Federal Government Participation in Binding Arbitration". United States Department of Justice. Retrieved July 5, 2012. ^ Kinkopf, Neil (September – October 2005). "Furious George – The belligerence of the Bush Administration in pursuing expansive power has a long Republican pedigree". Legal Affairs – The magazine at the intersection of Law and Life. Retrieved July 5, 2012. ^ Printz v. United States, 521 U.S. 898, 922 (1997). This article incorporates public domain material from this U.S government document. ^ Sai Prakash. "Take Care Clause". The Heritage Guide to the Constitution. The Heritage Foundation. Retrieved August 27, 2012. ^ Dueholm, James A. (2008). "Lincoln's Suspension of the Writ of Habeas Corpus: An Historical and Constitutional Analysis" (PDF). lincolngroup.org. Journal of the Abraham Lincoln Association. p. 48. Retrieved July 7, 2018. ^ Sellery, George Clarke (1907). "Lincoln's Suspension of Habeas Corpus as Viewed by Congress". books.google.com. University of Wisconsin. p. 52. Retrieved July 7, 2018. ^ An example of this is Alcee Hastings who was removed from a federal judgeship, but was not barred from serving in another federal office. He was later elected to, and currently serves in, the House of Representatives. ^ Cf. Ritter v. United States, 677 F.2d 957 (2d. Cir. 19) 84 Ct. Cl. 293, 300 (Ct. Cl. 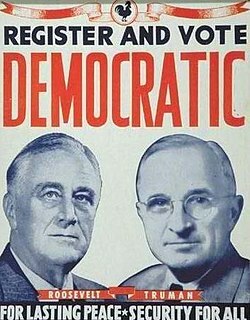 1936) ("While the Senate in one sense acts as a court on the trial of an impeachment, it is essentially a political body and in its actions is influenced by the views of its members on the public welfare. "); Staff of H. Comm. On The Judiciary, 93D Cong., Constitutional Grounds for Presidential Impeachment 24 (Comm. Print 1974) ("The purpose of impeachment is not personal punishment; its function is primarily to maintain constitutional government.") (citation omitted), reprinted in 3 Lewis Deschler, Deschler's Precedents of the United States House of Representatives , H.R. DOC. NO. 94‒661 ch. 14, app. at 2269 (1977). Mount, Steve. (2003). "Presidential Pardons."